iDiscover Preschool Plus is a school where the student's safety, happiness and best interests come first. A guided, upbeat and fun environment that allows children to develop naturally into confident, independent, individuals. iDiscover Preschool Plus balances the Montessori Preschool/Kindergarten curriculum with other Preschool methods that are important when preparing for Kindergarten and Grade 1. 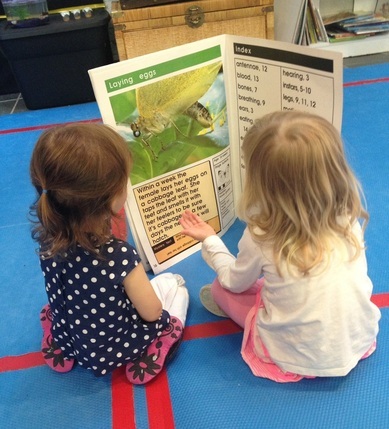 Classroom activities will touch on a wide variety of developmental areas such as: Practical Life, Sensory, Mathematics, Language Arts, Science, Arts and Crafts, Music, Dance and other Physical Activities. Our quiet, residential location with great outdoor green space, allows our class ample amounts of outside play time during the Fall, Spring and Summer months! 1. To provide a safe and encouraging environment with the help of the energetic, smiling teachers and staff. 2. To help instill a sense of independence and self-confidence in each child. 3. Allow children to partake in adequate amounts of physical activity - both indoors and outdoors! 4. To provide activities that compliment each child's individual interests. 5. To prepare each child for a successful transition into Kindergarten. 6. Most importantly, TO HAVE FUN WHILE LEARNING!! !